Good afternoon, Mr. President, distinguished colleagues. Maraming salamat, Majority Floor Leader. Mga kaibigan, mga kababayan, binabati ko po kayong lahat. Today, I stand before you outraged by the cruel act of terror perpetrated in Davao City last Friday night. Mr. President, matindi po nating kinokondena ang nangyaring pagbomba sa Davao City kung saan higit sa animnapu ang napinsala at labing-apat ang namatay. At nakikiramay po tayo sa mga biktima at sa kanilang mga pamilya. Nagkakaisa po ang ating buong bayan sa mga Dabaweño. In the halls of the senate, Mr. President, our colleagues refer to me as the gentleman from Tarlac. But, the truth is, I may very well be called the gentleman from Davao as well. Unbeknownst to many, my mother’s family is from Davao. And unlike my father’s side, which is a family of public servants, my mother’s side is a family of educators. My grandparents moved to Davao from Luzon after the Second World War to help start and develop the University of Mindanao. Ang lolo ko po, si Segundo Aguirre, ay naging principal ng University of Mindanao. At ang lola ko na si Victoria Aguirre ay naging chairperson ng Filipino Department po doon. Sa Davao po lumaki at nagtapos ang aking ina. Sa Davao po niya nakilala ang aking ama habang sila ay nagtatrabaho sa Davao branch ng SGV. Davao po ang setting ng kanilang love story at Davao rin po kung saan sila kinasal. Growing up, I spent summers in Davao with my grandparents. And to this day, we have loved ones living in the ‘Crown Jewel of Mindanao’. So, Mr. President, you can imagine that when we heard of an explosion at the bustling night market, when we heard of injuries, when we heard of fatalities, our chests tightened and we were engulfed with worry. For many of us with loved ones in Davao City, our gut reaction was to think about them and ask about their safety. But when the dust settled and our loved ones were finally accounted for, worry turned to outrage and outrage turned to anger. It breaks my heart, Mr. President, that this orchestrated attack, a terrorist attack, was perpetrated by fellow Filipinos. It infuriates me that these extremists attacked innocent civilians at the popular night market, where couples go on dates, friends meet up to get a massage after a tough week, and where families eat out and spend quality time together. It enrages me that these agents of hate chose to attack innocent civilians at the night market on a Friday night, one of the busiest nights of the week, a night that could earn them the highest number of casualties. This was a well thought out, malevolent assault that hoped to kill and injure as many innocent Filipinos as possible. And the final tally Mr. President, over 70 were injured and 15 of our countrymen are dead. They were more than just numbers, Mr. President. They are Filipinos that have laughed, cried, loved, and lived. They are brothers, sisters, mothers, and fathers. They are people who brought pride and joy to their families. And now, their passing brings immeasurable grief. One was a single mother, a former OFW working as one of the night market’s therapists while waiting for another opportunity to work abroad. Her name was Ruth Merecido. One was a senior education official of CHED in ARMM who strongly supported the Mindanao peace process. His name was Pipalawan Macacua. One was a teacher, a wife of a pastor, and a mother. Another one was her 14-year old son. Their names are Melanie Faith and Deniel Josh Larida. Those are only four, Mr. President, four out of 15. But these 15 are a loss to our nation. And more than that Mr. President, they are a loss to their families. There are no words to describe the horror and the anguish one endures when a loved one, when a family member is taken in senseless violence. And understandably, there are a variety of reactions to the blast, ranging from grief to anger, from fear to confusion. There are roars of outrage and prayers to a higher power. There are flowers. There are hashtags. There are profile pictures. There are candles. Mr. President, it has been 3 days since the attack and, if I may, I wish to propose some ways we might move forward together as a nation. The first is to build our strength. We need to support our policemen and the military. We need to support them as they conduct investigations, arrests, and find and convict these terrorists. In a previous budget hearing, Sen. Honasan whispered to me that we should stop asking the impossible from our armed forces and our police. We should stop asking them without the requisite resources that they need to be able to do the tasks that we ask of them. These tasks and missions that we demand of our policemen and soldiers must be coupled with the appropriate resources. So let us equip them with the necessary support so they may address crime and terrorism and deliver justice and safety for our fellowmen. Second, Mr. President, is vigilance. Now, more than ever we need to be hyper-aware of our surroundings, of potential threats to our physical safety. But Mr. President, aside from physical safety, we also must be vigilant, not just of unattended bags and suspicious behavior, but also of the misinformation that’s been going around the Internet and going around Philippine society. Sadly, Mr. President, there are groups that are misinforming Filipinos and spreading conspiracy theories that seek to use this crisis to intensify our division. With lives and our way of life at risk, we must be wary of the information we base our beliefs and actions on. We must be vigilant of misinformation and how it affects our judgment and our prejudices. Let us make sure, Mr. President, that we ourselves share only the information that come from the authorities themselves. And third, Mr. President, we must unite. The objective of terrorism is to create an environment of terror – to make us suspicious of each other, to make it difficult to trust, and to divide our beloved country. Terrorists have hit the hearts and homes of too many nations around the world. In November of last year, gunmen and suicide bombers attacked a sports stadium and a packed concert hall in Paris. In March of this year, Brussels was attacked with bombs targeting the airport and a train station. In July, there were attacks in Germany. In these circumstances, there is usually initial calls for solidarity. But through time, Mr. President, sometimes doubt and fear get the better of the public and they become suspicions against those of different beliefs and cultural backgrounds that dig into the public consciousness. Will we let this happen to our country, Mr. President? Will we let these acts of terror break us apart? Today, the challenge is to remain united against the true enemy. Because Mr. President, once there is infighting among the citizenry, then terror wins. Now, more than ever, we need to work together to synergize all the organs of government, our civil society, and our citizenry to ensure that this doesn’t happen again. In the short term, let us set aside the politics and provide authorities all the resources that they need to combat these perpetrators. And for the long term, we here in the Senate must lay the foundation for a future free of terror because of inclusive growth, and peace and prosperity for all. We do this for those who were killed and injured in Davao, we do this for our soldiers fighting for our freedoms, we do this, Mr. President, for every Filipino. The Philippines has endured typhoons, earthquakes, floods, and countless natural calamities. And in those moments, Mr. President, the Filipino people never cowered and, instead, banded together to gather donations and distribute aid. Today, our enemy, unfortunately, is more sinister, more calculating, and more strategic. Now, more than ever, Mr. President, we need to unite in goodness to build a future that is bright, peaceful, and full of hope. Maraming Salamat Mr. President, thank you very much. Sen. Bam: Gusto ko lang pong linawin ulit, mayroon na po tayong mga nahuli na mga pushers at addicts — iyon po ay nasa 11,784. Tama po no? Iyon po iyong presentation natin. And of the 756 po iyong napatay during the course of the operations. Iyong isa pa pong isang pinakita ninyo, iyong mga death under investigation. Ito po’y 1,160. Dito po ako gustong mag-focus. Ito po bang 1,160, hindi po ito lahat drug-related no? Sen. Bam: Tama ba na ito’y during the course of the war on drugs or kasama dito mga non drug-related? Gen. Dela Rosa: Iyong time frame na kino-consider natin your honor, that is the time that we are waging war on drugs. Nakita na sila ay patay but hindi natin na-establish na talagang drug-related sila. Pero mayroon po tayong na-establish na ibang motibo na hindi related sa drugs kundi personal grudge. 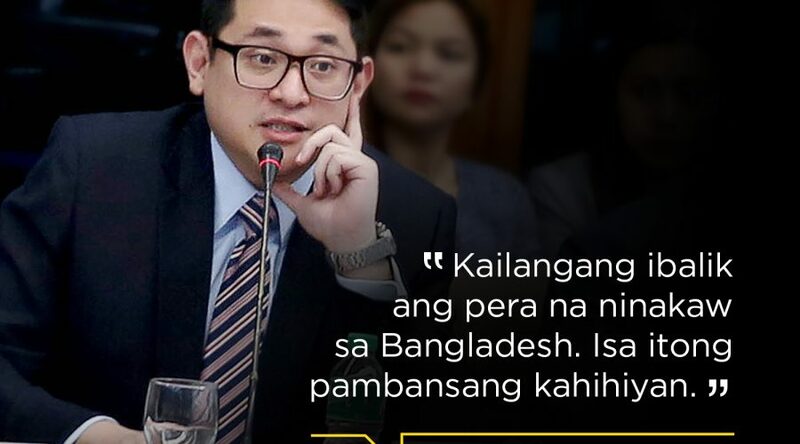 Sen. Bam: Ok nakita ko iyon. So ito ba ang lahat ng death from July to August 22? Sen. Bam: So lahat iyan. Hindi na natin alam — 757 iyong undetermined doon po sa chart ninyo so ito posibleng ibang motibo, crime of passion, kung ano man. Gen. Dela Rosa: Puwede rin drugs your honor. Sen. Bam: Puwede rin drugs. Gen. Dela Rosa: Iyong undetermined, pa.
Sen. Bam: Ok, pero iyong sigurado tayo, iyong 273 dahil ito iyong may placard, hog-tied at iba pa. Paano natin na-determine iyong balanse na drug-related ito kung hindi naman sila naka-placard at hindi naman sila nakagapos? Gen. Dela Rosa: Iyong mayrong tayong investigation na ginagawa your honor, at na-establish na itong mga taong ito na napatay ay drug pushers. Sen. Bam: Gusto ko pong tanungin iyan. Dito po sa 273 deaths na tinatawag po nating drug related, na-investigate po ninyo – iyon po ay 273 drug psuhers? Sen. Bam: At sa inyong investigation wala kayong nahanap na mistaken identity napagkamalan lang o ginamit iyong war on drugs para mapagtakpan ang ibang krimen? Gen. Dela Rosa: So far, wala pa your honor. Iyong napabalita sa media na iyong babae, iyong magandang babaeng nakasakay sa jeep na binaril, hindi po iyon drug-related, your honor. Sen. Bam: Eh, iyong tungkol po doon sa choir member, na mayroon pong duck tape sa bunganga na dine-deny po ng mga magulang. I think this is Tiamson case. Iyon po, nasama po ba siya sa 273? Kasama siya kasi may placard siya, noh? Gen. Dela Rosa: Yes your honor, magkasama. Sen. Bam: Iyon po ba ay na-investigate po ninyo na isa nga talaga siyang drug pusher? Gen. Dela Rosa: Ongoing, your honor. Gen. Dela Rosa: Undetermined, pero sinabi na natin na kapag na-classify natin siya na drug-related na-determine na natin na ang motive na drug-related but still, hinahanap pa natin iyong concrete so ongoing pa iyong investigation. Sen. Bam: Opo, so iyong tanong ko kanina – sigurado ba tayo na iyong 273 drug-pusher? Sigurado tayo na drug-related pero tatanungin ko po ulit. Sigurado ba tayo na iyong 273 na patay drug pusher nga o hindi? Gen. Dela Rosa: When we say drug-related your honor, either pusher siya o user na na-establish doon sa investigation. Sen. Bam: So wala ho kayong nakikita sa 273 especially po itong mga kaso na si Ms. Tiamson. Mayroon pa pong isa – iyong scholar dito po sa Metro Manila. Kasi ho iyong kanilang mga magulang at kanilang mga pamilya, dine-deny po na mga drug addict po sila o drug pusher. Sigurado na po ba tayo? Sa tingin po ng PNP lahat po talaga sila drug pusher at drug addict? Gen. Dela Rosa: Ongoing pa, you honor ang investigation. Sen. Bam: Kaya nga General. So kung ongoing pa siya, hindi pa tayo sigurado na drug pusher sila? Sen. Bam: So ulitin ko po. Itong 273, drug-related po siya pero hindi pa po tayo sigurado kung drug pusher nga po sila? Gen. Dela Rosa: Yes your honor. Kasi nakalagay doon eh, may karatula. Iyon lang ang basis natin na ..
Sen. Bam: Opo, pero General, iyon ba ay enough basis na matawag na pusher kung may karatula iyong tao? Kasi marami ngayong umiikot na baka naman ibang krimen ito, pinagtatakpan lang, ginagamit po iyong war on drugs [at] naglalagay ng placard. Gen. Dela Rosa: Mayroon pong investigation na ongoing. Sen. Bam: Ito pong 273 na napatay, ini-investigate po natin ang kanilang pagkamatay? Sen. Bam: Sino po ang nag-i-investigate po sa kanila? Gen. Dela Rosa: Iyong, depende sa station na nag-co-cover sa area kung saan nangyari, your honor kung may jurisdiction over the case. Sen. Bam: Mayroon na po tayong nahanap na suspek. I think yesterday, na-mention po ninyo na may kinasuhan na po kayo. Sinu-sino po iyong mga – you don’t have to name names – but sila po ba ay kasama sa sindikato? Sila po ba’y mga asset ng kapulisan? Sino po ang kinasuhan po ninyo sa mga killings na ito? Gen. Dela Rosa: Karamihan your honor ay mga drug pusher din na naging hit man ng mga drug lord. Sila po ang nag-e-eliminate iyong mga kalaban, iyong mga kasamahan nila. Kung hindi nakaremit ng pera doon sa drug lord, ah pinapatay. Gen. Dela Rosa: Yes, po. Sen. Bam: So mayroon na po tayong nahuli na ganyan po – hitman, kasama ng sindikato, ginagamit ng mga sindikato. Mayroon na po tayong nahuli? Gen. Dela Rosa: May isang napatay your honor. Wala pang nahuli pero lahat po sila ay identified. Sen. Bam: Iyong kaso po may mga pangalan? Gen. Dela Rosa: Yes, your honor. Identified po sila. May kaso na. 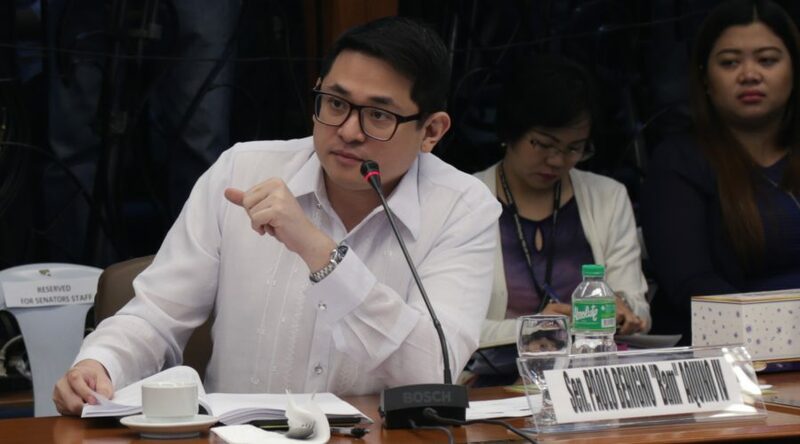 Sen. Bam: So, pag sinabi niyo pong may kaso, naka-file na po iyan sa fiscal? Sen. Bam: Ongoing case na po iyan, nasa justice system na po natin? Sen. Bam: So lahat po ng mga kasong ito, fino-follow up po ninyo? Ini-investigate po ninyo pareho iyong biktima kung totoo ngang drug pusher o drug addict at ini-investigate po ninyo kung sino ang may kagagawan po nito? Sen. Bam: Kahapon nagkaroon ng, I don’t remember kung sinong senador po iyong nagtanong pero kahapon po sabi niyo, o kung ayaw ninyo, huwag na lang natin itong gawin, parang may nasabi kayong gawin. Sa tingin ba ninyo, itong pag-imbestiga sa mga napatay ng vigilante o napatay ng mga sindikato, ito po ba’y pabigat sa inyo o kasama sa inyong trabaho bilang PNP? Gen. Dela Rosa: Kasama po sa trabaho namin iyan, your honor. Sen. Bam: Ano pong paningin niyo sa mga ganitong klaseng pagkapatay. Ito po ba’y nakakatulong sa war on drugs o nakakasama ito sa war on drugs natin? Gen. Dela Rosa: Nakakasama po iyan, your honor dahil, as I have said, I don’t like, personal e. Kahit hindi ako chief PNP, kahit ako isang sibilyan, ayaw na ayaw ko po iyong extra-judicial killing. I hate to use extra-judicial killing, dahil mayroong contention ang isang senador natin na ayaw niya ang term na iyan but iyong vigilante killing, ayaw ko po iyan your honor. Ilang beses ko nang hinamon ng barilan iyong mga vigilante na iyan. Kung gusto niyo pumatay ng tao, bakit papatayin niyo ang tao na walang kalaban-laban, ako ang harapin niyo. Ilang beses ko nang hinamon ang mga magagaling diyan na pumatay, ako ang harapin niyo, magbarilan tayo. Hinahamon ko iyan sila your honor, ayaw ko iyang ginagawa nila. Sen. Bam: With the full force of the PNP, iyong lahat ng makakaya ng PNP, iyong lahat ng inyong kaalaman, intelligence, assets, hinahabol niyo ba ang mga vigilanteng ito or hindi natin hinahabol? Gen. Dela Rosa: Hinahabol po your honor kaya ongoing ang ating investigation. Kaya may na-identify tayo dahil sa investigation natin. Ang na-identify natin kasalukuyan nating hinahanap, nagtatago po iyon dahil miyembro ng sindikato. Sen. Bam: Kahapon napag-usapan natin iyong mga pulis na nasangkot sa droga. Alam ko po, mabigat po ito sa inyo. Gaano po na-infiltrate ang ating PNP ng mga masasamang elemento na connected sa droga? Malalim po ba ito? Iilan lang po ba ito o marami po ito? Gen. Dela Rosa: Kung sa standard ko your honor, on my personal standard, marami na po. Gusto ko zero drug-tolerant your honor. Ayaw ko na kahit isang pulis ko na involved sa droga. Ito’y po’y sobra sa sampu, sobra sa 100, umaabot ng 300, mabigat ito sa akin. Sen. Bam: 300 na po ang nasa watchlist niyo, nakita ko po. Gen. Dela Rosa: Yes your honor. 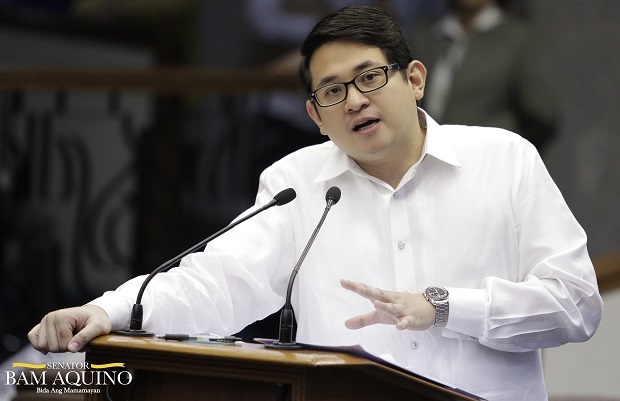 Sen. Bam: Sa kutob niyo, ilan po ba talaga iyan? 500? 400? 1,000? Ilan po ba talaga? Gen. Dela Rosa: Honestly your honor, aakyat pa ang number na iyan. Sa naglabasan na information, marami. Ang aming watchlist sa intelligence, nabulaga po kami. Iyong nag-start ang aming war on drugs, nagpasukan ang information na eto pala tumatanggap ito, eto pala nagbebenta pala ito. Dahil nag-cooperate na ang buong bayan. Hindi lang government approach ang ating war on drugs. Naging whole of nation approach na dahil lahat ng communities, nagtutulungan lahat, nagbibigay ng information kaya dadami pa iyan your honor. Sen. Bam: Ano po ang dapat gawin sa mga pulis na kasangot sa droga? Gen.Dela Rosa: If I have my way, your honor, hindi ko na lang sabihin, pero hindi ko talaga ma-imagine na pulis, na nag-swear to serve and protect, tapos ikaw ngayon ang nakapatong sa droga. Hindi ko sabihin dahil masama your honor, pero alam niyo na ang ibig kong sabihin. Gigil na gigil po ako your honor. Sen. Bam: Iyong atin pong taumbayan, alam ho nila na may masasamang elemento. Hindi po lahat. Marami hong mabubuting pulis pero marami ring masasamang element. Kapag kinakatok na sila sa bahay, kapag hinihiling silang mag-meeting, hindi na nila alam kung ang kausap ko, masama o mabuti kaya marami pong natatakot. Ano po ang maipapayo niyo sa taumbayan kung sila po, nakita nila ang isang pulis, hindi nila alam kung ito’y kasangkot o ito’y malinis? Ano po ang puwede nilang gawin? Gen. Dela Rosa: This I can assure you and the public, na iyong mga pulis na markado na kasama sa sindikato sa droga ay dahan-dahan na pong nawawala sa kanilang assignment. Nilipat na po namin sila at hindi po namin ini-involve sa Oplan Tokhang at Oplan HVT kasi po, habang nakikita sila ng taumbayan, hindi maniniwala ang taumbayan na itong kampanya ng pulis laban sa droga ay seryoso dahil andiyan pa si PO1 at PO2 ganon kaya tinanggal namin. Kanya-kanyang diskarte na po bawat region. Mayroong naghaharana para hindi matakot ang tao. Mayroon pong libreng sakay, kanya-kanyang diskarte. Sen. Bam: Iyong kahapon po na salaysay ni Mary Rose, may mga napangalanan po siya. Nasaan na po ang mga iyon? Sila po ba’y na-transfer, kinasuhan o naroon pa po sa Antipolo? Gen. Dela Rosa: Your honor, honestly, napahiya po ako kahapon dahil sa testimony ni Mary Rose. Right after ng Senate hearing, ako mismo pumunta sa Rizal PPO, hinanap ko ang pulis na involved. Sen. Bam: Mayroon bang pulis na ganon ang pangalan? Gen. Dela Rosa: Mayroon your honor. Humarap na po sa akin. Pinatanggal ko na sila sa Rizal PPO at pina-assign ko sa Crame para doon i-confine namin at ready to face the IAS anytime for investigation. Tinanggalan na po namin ng armas. Huwag po matakot sila Mary Rose. Hindi na po kayo under threat kasi iyong mga pulis na iyan, tinanggal na namin doon. Umuwi na po kayo sa inyo. Puwede niyo na tanggalin ang cover sa mukha, please. Andito kami. We’re here to protect you. Huwag kayong mag-alala, iyong mga pulis na iyan, naka-confine nap o.
Sen. Bam: Gina-guarantee niyo ba ang safety ng witnesses natin, general? Gen. Dela Rosa: Pumunta kayo sa akin, patirahin ko kayo sa White House, safe kayo doon. Q: There seems to be growing frustration on your end. You’re the only Senator before Sen. Koko Pimentel spoke that really focused your attention on how to get the money back. It’s all about trying to dissect what happened and who is involved but to you, it’s really about getting the Bangladeshi people’s money back. That’s right. In fact, in all of the hearings, the ambassador of Bangladesh is there. To be frank, nakakahiya that we talk about everything but we’re not talking enough about how to get them the 81-million US dollars back. I don’t think the previous hearings were able to cover where exactly the money is currently. Earlier, we found out that there is discrepancy in the testimony of Kim Wong and Philrem on the cash that was given out. At the same time, we found out that some of the money was actually still in the casinos through their junket operators. We’re hoping to get to the bottom of this and if we can actually get that money back for Bangladesh. Q: What’s your reaction to what the AMLC said about getting information before they file a freeze order to the court of appeals? Isn’t that putting a lot of layers to the bureaucracy when at this minute we have Kim Wong saying I can just give you the money and bring it to the BSP for safe keeping. Exactly. Many of these questions have not been asked and I understand that the focus would be the Filipino actors who were part of this scam. But I think, first and foremost, we should focus on securing the money, making sure it’s intact, and giving it back to the people of Bangladesh. Can you imagine if that happened to the Philippines, if 81-million dollars of our money was stolen elsewhere? The first thing we would want to ensure is that it gets back to our own treasury. I think the minimum that we need to do is to go through AMLC, go through the motion, and ensure that whatever money is found is held and eventually returned to Bangladesh. Q: Do you feel that we have the moral obligation not only to investigate the matter but really return the money to the Bangladeshi people? Yes, yes. Definitely. And hopefully everyone will cooperate. If Eastern Hawaii through Kim Wong is willing to cooperate, that’s great. Hopefully, we get to the bottom of how much cash was given out because currently it’s a contradictory story of how much was encashed and how much was given to Kim Wong and Weikang Xu. If there is Bangladesh money in our casinos then maybe our casinos can also cooperate and be willing to return the money without going through a lengthy court procedure. AMLC said it is within the powers of the current laws to get the money and eventually file civil forfeiture cases against those involved. But I hope we don’t reach that. If the money is still there and if it can still be returned, we should return it at the soonest possible time. Q: We’ve already proven that the bank accounts are fictitious so what is there for the bank secrecy law to protect? Exactly. That was the subject of the first part of the hearing and Sen. Osmena was very frustrated with the answers given to him regarding the bank secrecy law specially considering that these are fictitious accounts and, more or less, it has been established that the money came from a theft or a heist. So the Senate lawyers are looking into this further. Of course, it’s the position of the bank right now that even if it’s fictitious, you can’t disclose any of these amounts but definitely the committee and our offices are looking into this further. Q: 3rd day of the hearing, who are you most likely to believe at this point? Well, we don’t want to pre-judge. We’re often accused of pre-judging everyone. But if you listen to the hearings, it’s becoming clear that this could not have been perpetrated by just one person. I don’t want to talk about guilt or innocence at this point but definitely you need a lot more people and a lot of moving parts to get this to happen. Whether they’re guilty of theft, money laundering, or negligence, that’s something we will uncover in the next few hearings. And AMLC is doing a parallel process to go after the people who perpetrated this crime.